Some devices require the user to accept connections to other Bluetooth® devices. If your phone does not connect automatic ally to the system, consult the phone’s Owner’s Manual for details on device operation. 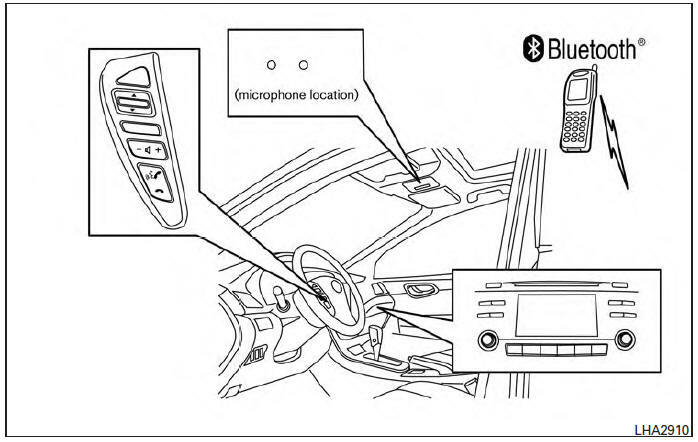 You can connect up to 5 different Bluetooth® cellular phones to the in-vehicle phone module. If the hands-free phone system seems to be malfunctioning, see “Troubleshooting guide” in this section. You can also visit www.nissanusa.com/bluetooth for troubleshooting help.